Photo: Richard Lane/Richard Lane Photography. 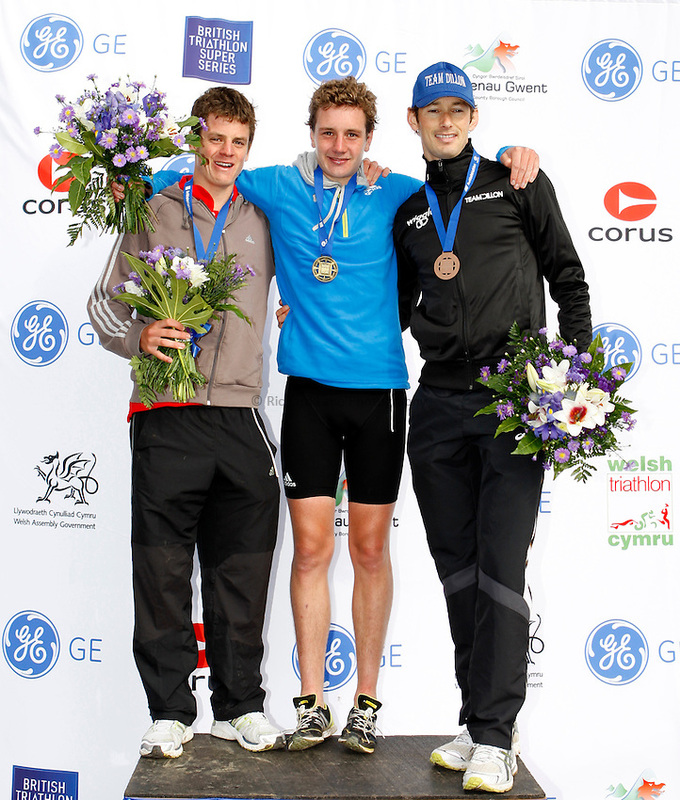 GE Parc Bryn Bach Triathlon. 19/09/2010. (lt to rt) Alistair Brownlee and Jonathan Brownlee (joint 1st) and Stuart Hayes (3rd) of England on the podium after the Elite Mens' race.